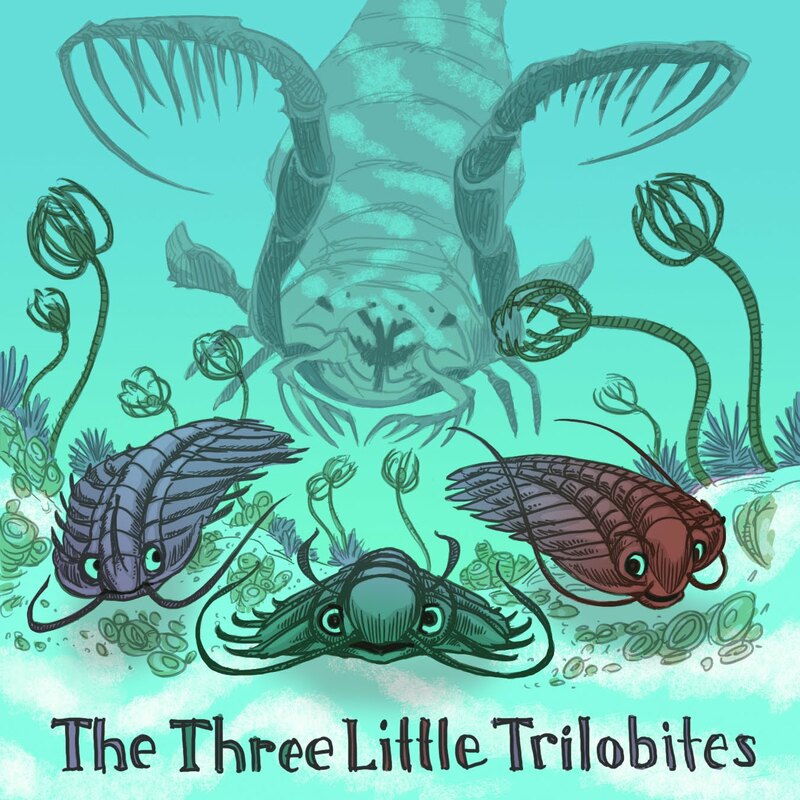 The story of the three little pigs, told in the pre-historic Silurian sea. Instead of being chased by the big bad wolf, the three little trilobites are on the run from a nasty Mixopterus--a sea scorpion. First the trilobites build their homes from loose shells, then Crinoid stalks, last of all they build themselves a home deep in the mud, where they live happily ever after--they even end up as a fossilized display in a museum! Don't confuse this story with last year's "One Trick Ponies," where the three Pleistocene ponies were on the run from the Giant Terror Bird. That was a prehistoric take on the Seven Chinese Brothers--this one is based on the Three Little Pigs. Similar, but different. Stick around through the weekend--it's the final stretch! Only two mare after today! Wow, mixopterus is enough to give me nightmares. Those poor little trilobites. I like this one! They're cute. I love how lots of your stories are like old stories with new twists. Like, tractor troll or Emperor's new clothes or the very hungry caterpillar. Very funny! So, how do you know so much about (seemingly random) prehistoric creatures? Rachel, I do a lot of scientific illustration jobs. Before turning into a full-time freelancer, I worked in museum design/display. For many years I painted crinoids and undersea seas for weeks at a time, for natural history museum dioramas. I love this stuff! Undersea SCENES--not undersea seas. Woops. Excuse me, Nathan Hale.I am Nathan Boyack`s son. (remember the iguana incident).I like these tribolites.My parents are friends of you guys. Man, I loved trilobites when I was a kid. I will be first in line to buy this if it ever gets published.